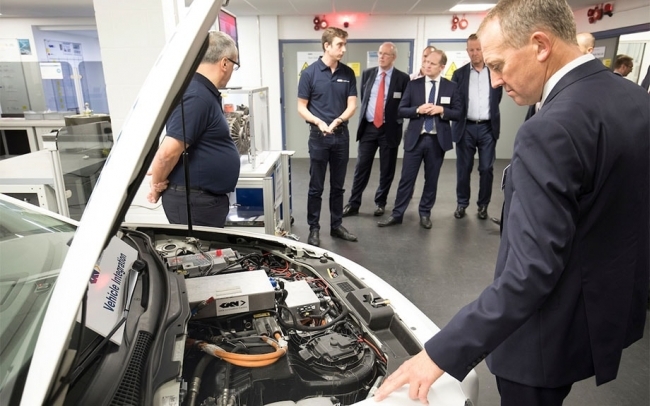 GKN has opened a new UK Innovation Centre for its automotive division, which will focus on developing state-of-the-art vehicle technologies and systems. The centre, in Abingdon, Oxfordshire, will use GKN’s expertise in electrified drivelines, lightweight structures, composite materials and additive manufacturing to create a range of new technologies for next-generation vehicles. 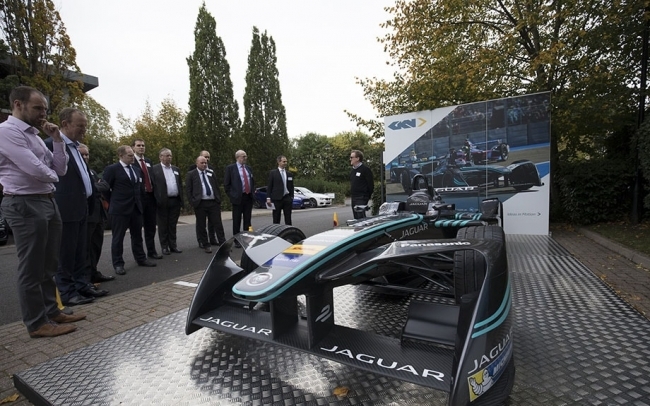 Central to GKN’s recently-announced Official Partnership with the Panasonic Jaguar Racing Formula E team, the UK Innovation Centre will also lead on delivering new components and technologies for the Jaguar Formula E electric race car. GKN has already delivered its first parts for the I-TYPE 2 in the form of custom-built fluid ports made from laser-sintered steel. The new fluid ports demonstrate GKN’s expertise in additive manufacturing, which can deliver parts that are more durable, have more geometric freedom of design, and are much faster to build. A key area of R&D for future automotive applications is 3D-printed titanium, in which GKN is already a world leader thanks its cutting-edge aerospace division. On display at the launch of GKN’s UK Innovation Centre were a range of advanced composite driveline elements, as well as a live demonstration of carbon fibre driveshaft manufacturing. These composite shafts deliver significant weight reduction and efficiency gains for both electric vehicle and motorsport applications. Furthermore, GKN’s whole-system expertise means it will be uniquely able to deliver carbon fibre driveline systems with optimum integration between shafts and constant velocity joints. GKN is the global leader in two-speed electric vehicle systems. It has developed the only two-speed eTransmission currently in production – for the BMW i8 hybrid supercar – and revealed the world’s first fully-electric drive system with two-speed gearing and Twinster torque vectoring technology at the Frankfurt Motor Show – eTwinsterX. At the UK Innovation Centre, GKN is honing a new ‘TorqueShift’ system for electric vehicles. Two-speed systems can deliver more ‘miles per kilowatt’ than conventional eDrive systems, but GKN is focused on developing the same seamless ‘dual-clutch feel’ experience for electric car drivers. The biggest challenge in delivering a seamless shift in an electric powertrain is the software control. GKN’s engineers have developed a highly-sophisticated system for the TorqueShift demonstrator, which is able to master the high torsional stiffness, high inertia and high step ratio from the system. Flywheel technology from GKN has helped to power hybrid vehicles to victory at the 24 Hours of Le Mans race. The UK Innovation Centre is now developing a new prototype energy storage unit, which will have significantly larger capacity at lower cost than its previous-generation flywheel systems. This new flywheel technology has been designed specifically with commercial vehicles and off-highway applications in mind, delivering useful electric-driving capability without the higher cost of a plug-in hybrid or fully-electric system. Flywheel systems provide an energy boost in peak-load scenarios, so combustion engines can be downsized for greater efficiency. GKN’s Official Partnership with Panasonic Jaguar Racing was announced at the 2017 Frankfurt Motor Show. The UK Innovation Centre will deliver technical consultancy and new technologies, including lightweight driveshafts, efficient differentials and custom-built parts using additive manufacturing. GKN’s considerable experience in delivering state-of-the-art electric vehicle systems means it will also advise on the development of the I-TYPE 2’s all-electric powertrain.